Rolling Retro, SA’s favourite Surf day, celebrating our rich surfing heritage, comes to the Valley of the Waves and being inland, for the very first time in the heart of the South African Bush presented by Billabong SA and Monster Energy. 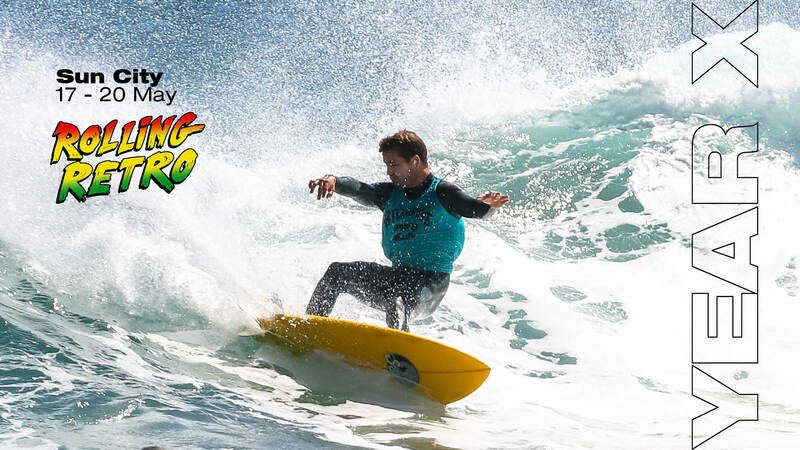 A day of surf demos on rare, historical surfboards by some of SA’s top surfers, along with your chance to win a surf lesson with the the Pro’s – or if you already surf, a chance to surf one session with the Pros on one of our vintage Surfboards. Photo walls for your selfies, with some of our retro surfboards, loads of give aways and competitions and of course a pumping beach party to finish off the day.